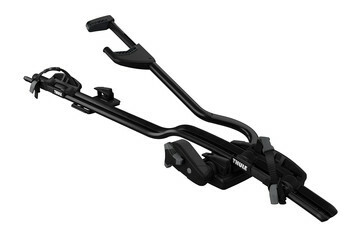 Universal upright bike rack with no frame contact, for fast and secure mounting and maximum frame protection. Maximum bike weight up to 20 kg. 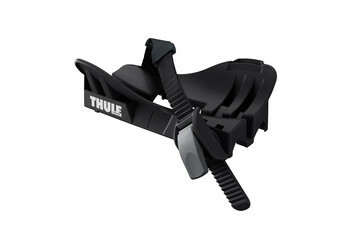 An adapter for Thule UpRide to enable transport of fatbikes. 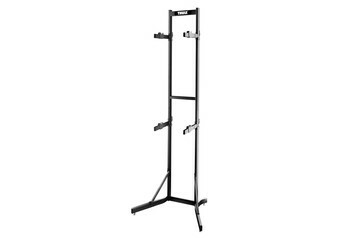 Free standing storage bike rack for your home, apartment or garage. 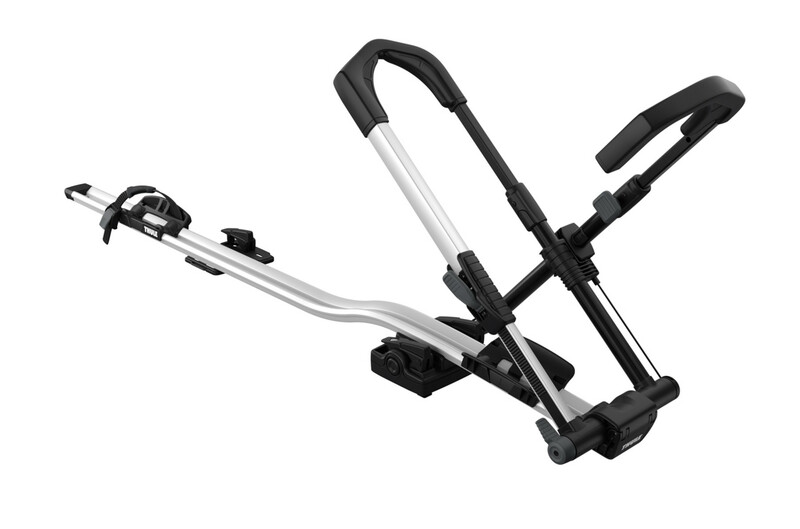 Upright bike carrier for the quickest, most convenient mounting – for bikes up to 44 lbs. 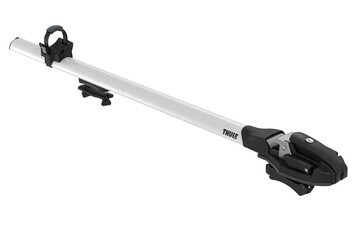 Fork-mount bike rack designed to fit thru-axles without extra adapters. Holds my 4.5" tire fat bike with the fat bike adapter kit. Very secure to the vehicle and stress free after adding the one-key lock kit. I have had this rack for a few months now and truly like how the bike carrying function works. It's quick and easy to use and feels robust. It does get the top of my car pretty dirty but that is only because I'm carrying around a dirty mountain bike. My only complaint is with the locking system. After several months of use the slide out locking portion becomes fairly lodged with bike/road grit and very difficult to remove. Unfortunately the only way to pull it out for locking the bike is by inserting, twisting, and pulling on the Thule key... which isn't very strong and not made for this kind of abuse. I ended up breaking my key off in the cylinder and it was a significant pain to remove the broken key. I have a replacement key but I suspect this problem will continue in the future. It makes me hesitant to use the bike lock feature at all.